“Muted Majesty” Part of our new bridal boutique. 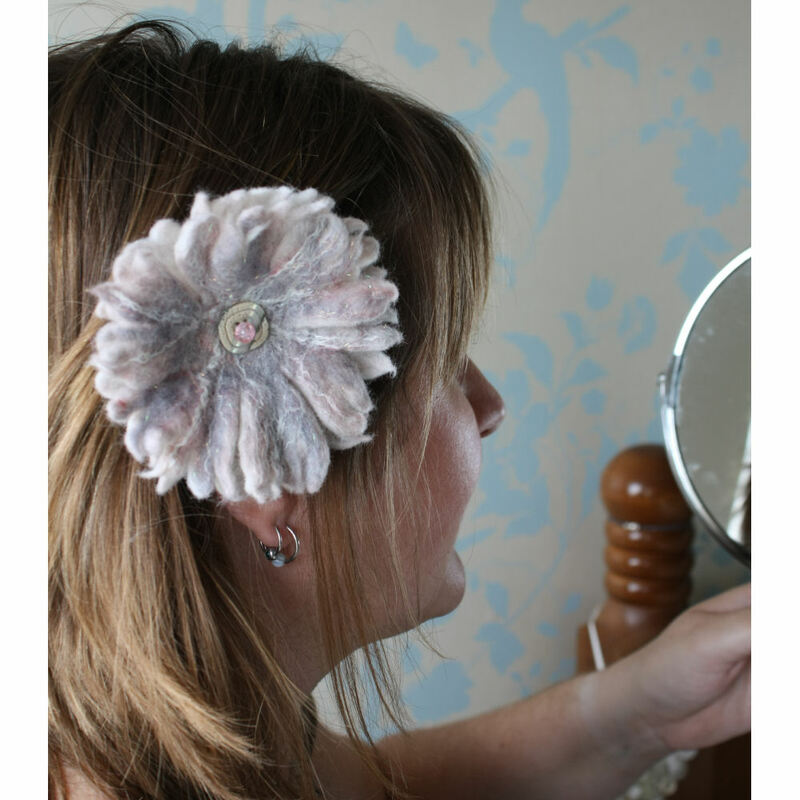 This stunning felted flower hair accessory has been hand made using soft ivory merino wool fibres. pale mink,soft beige and pale pink fibres also are running through this beautiful accessory. 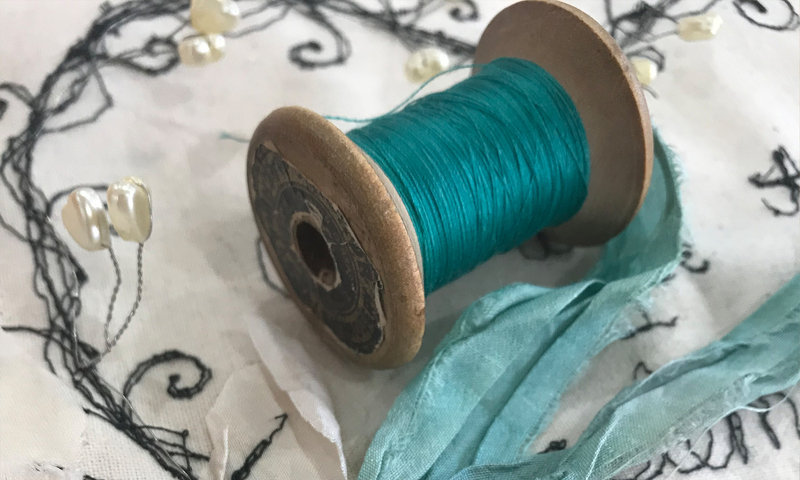 tussah silk fibres and angelina fibres add an extra lustre. An aged effect pearlised button and pale pink glass crackle beadsilver tone button adorn the centre. The back of this felted flower has a click hair clip securely sewn on, making adding it to the bride’s hair easy and quick. This would be a eyecatching addition to any bride/ bridesmaid/ wedding guest. more can be made to order ( contact us for details) also available as matching wrist corsages on request.